A twin pack of house shapped blocks with pink and grey roofs. 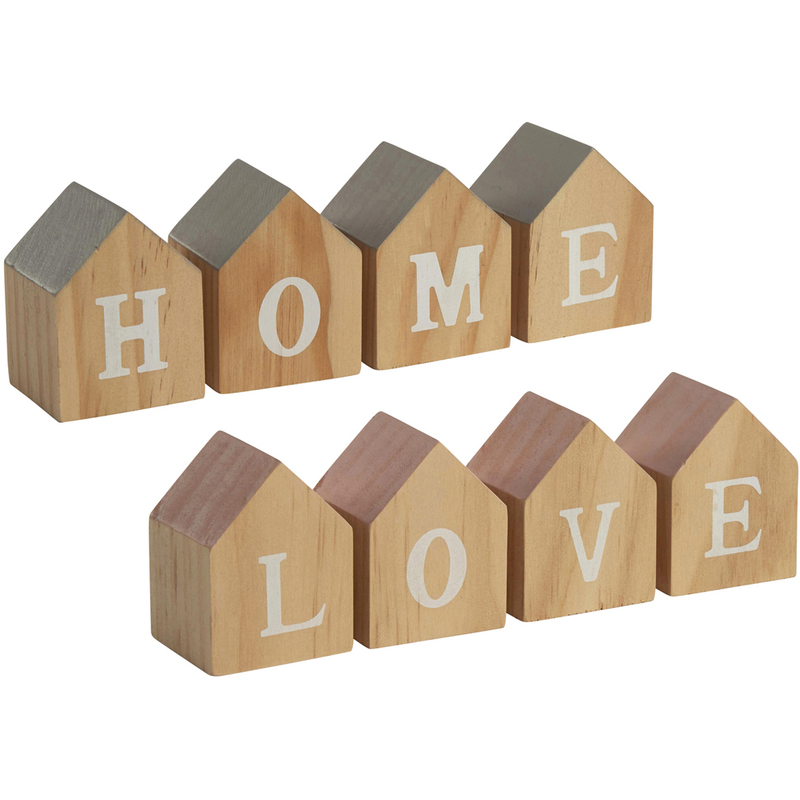 The LOVE blocks have pink tops and the HOME blocks have grey tops. Also available to purchase individually (LOVE or HOUSE).